ORLANDO, Fla., Dec. 29, 2005 — The pace of Florida’s housing market eased somewhat in November — traditionally a slower month for home sales — with statewide sales of existing single-family homes totaling 17,219 for a 1 percent increase over last year’s sales activity of 17,110 homes, according to the Florida Association of Realtors® (FAR). Housing markets nationwide are starting to see a better balance between demand and supply, according to many housing industry analysts, placing homebuyers and sellers on a more even footing. The statewide median sales price rose 31 percent in November to $250,500; a year ago, it was $191,300. In November 2000, the statewide median sales price was $117,900, which is an increase of about 112 percent over the five-year period. The median is the midpoint, which is a typical market price where half of the homes sold for more and half for less.The national median sales price for existing single-family homes was $216,200 in October, up 16.6 percent over last year, according to the National Association of Realtors® (NAR). In California, the statewide median resales price was $538,770 in October; in Maryland, it was $297,682; in New York, it was $269,000; and in North Carolina, the average resales price was $215,762.Interest rates for a 30-year fixed-rate mortgage averaged 6.33 percent in November, up from the 5.73 percent rate recorded last year. FAR’s sales figures reflect closings, which typically occur 30 to 90 days after sales contracts are written.Among the state’s larger metropolitan statistical areas (MSAs), the Tampa-St. Petersburg-Clearwater MSA reported higher figures in both sales and median price last month, with a total of 3,799 existing single-family homes changing hands for a 16 percent increase over the 3,276 homes sold last year. The market’s median sales price increased 33 percent to $222,900; a year ago, it was $167,100.George Bodmer, president of the Greater Tampa Association of Realtors and co-owner of Bayside Realty Group Inc. notes that mortgage rates, while edging up, remained favorable in November, which encouraged buyers to enter the market. “The real estate market follows the jobs, and this area is basically a community that goes to work,” he says. “We’ve got places to work, places to play, good schools and even with high demand and a tight inventory, we’ve been fortunate in that we still have homes available to buy. Buyers know housing is a good investment.”Other larger markets reporting higher sales in November include: Jacksonville, where 1,425 homes sold for a 20 percent gain; and Orlando, where 2,656 homes changed hands for a 2 percent increase. The median sales price also rose in both markets: in Orlando, 45 percent to $254,600; and in Jacksonville, 17 percent to $190,000. Among the state’s smaller MSAs, Tallahassee reported a 21 percent increase in home sales last month, with a total of 357 homes sold compared to 296 homes changing hands last year. The area’s median sales price rose 12 percent over the same period to $179,800; a year ago, it was $160,600. Other smaller MSAs in the state also had higher home resales last month, including: Lakeland-Winter Haven, where 475 homes changed hands for a 17 percent boost; and Gainesville, where 275 homes sold for a 13 percent gain. The median sales price in those markets also rose over the same period: in Lakeland-Winter Haven, 37 percent to $166,900; and in Gainesville, 18 percent to $197,100. A chart showing statistics for Florida and its 20 MSAs is available by clicking here. The chart compares the volume of existing, single-family home sales and median sales prices in November 2005 to November 2004, based on Realtor transactions. Two local newspapers published their Top 10 business stories for 2005. Real estate dominated much of the news in 2005. The News Press released their Top 10 Business Stories as did Naples Daily News, Link no longer active. 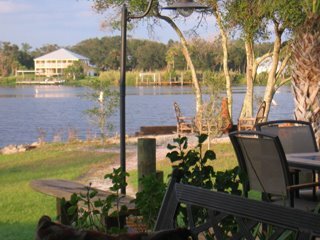 To find out more about Homes for sale in SW Florida, check out www.Leecountyonline.com where you can search for homes listed in the MLS. Also vist www.Topagent.com for more information about SW Florida. Traditionally, showings go down during the holiday season. However, the showings that do occur tend to be serious buyers. We’ve sold several homes this week, and we’re still negotiating a few sales before Christmas. The week between Christmas and New Years tends to be very busy. We have a lot of visitors to SW Florida during the week. They tend to be new to the market. Some buy, many come back later in the year after deciding SW Florida is a nice place to own property. Activity is gernerally slow from Jan 1-January 15, then showings pick up again. Our team has been very busy listing properties. We will have several enter the market just after the holidays. During 2005, we had a difficult time keeping more than 5 properties in inventory as they would sell so fast. We’re getting back to normal at 70. The Ellis Team has always carried listings for years, except for the last two or so. The reason is we advertise homes more and expose them properly to the market. We call it a Flight to Quality. When the market turns just a bit, the relative in the business or the Realtor down the street offering a deal just doesn’t seem like a deal anymore. Sellers want their home sold, and they want to trust the Realtor working for them will do everything possible to sell their home, not skimp on costs. Rates will Climb and Mortgages will get Longer in 2006. That’s the word from the California Association of Mortgage Brokers. Many believe 40 year loans will become more popular. This comes as a surprise to many Americans, but in fact in some parts of the world loans are paid off over many generations. Even if rates go up from their current levels, they’re still historically low. What’s making homes unafordable right now is mostly the large run-up in prices over the last three years. We’ve had tremendous price increases, increasing interest rates, insurance rates, and property taxes. All are pressuring the first-time buyer at once, making homes largely unaffordable for those that missed the big boom. We’ll keep you posted throughout 2006 as to how the market performs. National City Corp.’s latest quarterly study says that 38 percent of the top 299 metro housing markets "are extremely overvalued and at risk for a price correction." National City says the Naples real estate market is 82.3 percent overvalued. Other "extremely overvalued" Florida markets include Port St. Lucie (68.1 Percent), West Palm Beach (56.9 percent), Sarasota (55.6 percent), Miami (55.3 percent), Vero Beach (54.3 percent) and Fort Lauderdale (52.8 percent). New Riverfront Listing located on 2.62 acres. Spectacular river riews from master bedroom, family room, dining room, and kitchen. Extra building on property with in-law suite. Designed with oversized doors for boat or RV. Many extras like bamboo floors, Australian Cypress wood floors, and much more. Call us for more information on this home, or other riverfront homes. This is a great article about what an experienced agent brings to the table in a changing market. Citizens Property Insurance Corp.’s board on Thursday approved an average statewide rate hike of 44 percent for homeowners in high-risk areas. This increase, which still has to be OK’d by state regulators, follows a 16.2 percent increase in high-risk coastal areas that was approved last February. Mortgage Rates The average rate for a 30-year fixed-rate mortgage dipped slightly this week to 6.3 percent. Financial markets seemed to like signals from the Federal Reserve that its string of interest rate hikes could be drawing to a close. Whether you’re buying or selling in today’s market, don’t fret about last year’s prices. Just as sellers cannot sell when prices may have been better, buyers can’t undo time and buy at last year’s prices. Find out how much home you can afford upfront. Get pre-qualified You’ll want to be happy in the home you’re in, not the home you wish you had bought in the past or the home you cannot afford. Getting pre-qualified upfront sets reasonable expectations. There is nothing worse than looking at homes above your price range, then having to settle for a lesser home because he bank said so. You’ll also want to be comfortable with your payment. Sometimes you can afford much more home than the monthly payment you’re willing to spend, and that’s OK too. Our agents can Represent you , assisting you to make a better decision for you and your family. Remember, there is no Perfect home. If you had all the money in the world, you couldn’t design and build the perfect home. One day you’d want a home in the mountains, another a gorgeous home on the beach. I could go on and on here, but you get the point. You’ll want to focus on your needs first, and also what would make you happy. Buying a home is all about choices, and together we help you make the best choice for you. Everyone is different, so we really have to listen to you. We’ll ask lots of questions. The best home for you may not be the home I’d choose, and that’s perfectly fine. It’s not about us. It’s about You! Good luck, and happy house-hunting. 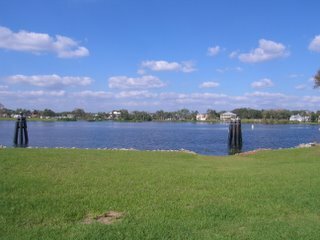 If you’d like more information about SWFL, visit Topagent.com If you’d like to view properties in MLS, search for yourself at Leecountyonline.com. Here is the link Ellis Team Featured Listings . Many don’t realize that performing any real estatte service in Florida is a 3rd degree felony. Sometimes it’s as innocent as helping a neighbor rent their home, or helping sell a friends home. The problem is, when unlicensed people perform real estate services, mistakes are made and somebody gets hurt, even unintentionally. Here is the phone number to report such activity. 866-532-1440 Here is a link to an article about this.